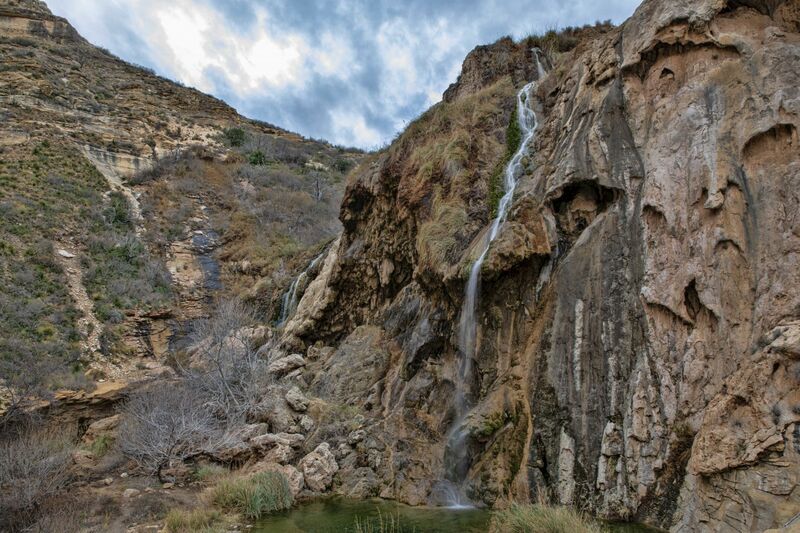 Sitting Bull Falls is a series of waterfalls located in a canyon in the Lincoln National Forest southwest of the city of Carlsbad, New Mexico. The United States Department of Agriculture's Forest Service maintains a popular recreation area for day use at the location of the falls. Falls will look much better after rain!! !